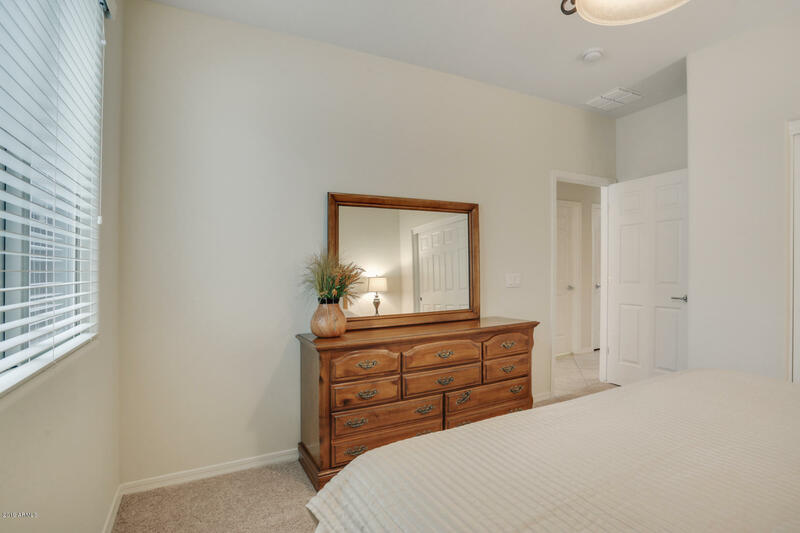 BEAUTIFUL EUROPEAN STYLE SPIRIT MODEL ON A CORNER LOT IS A MUST SEE!! 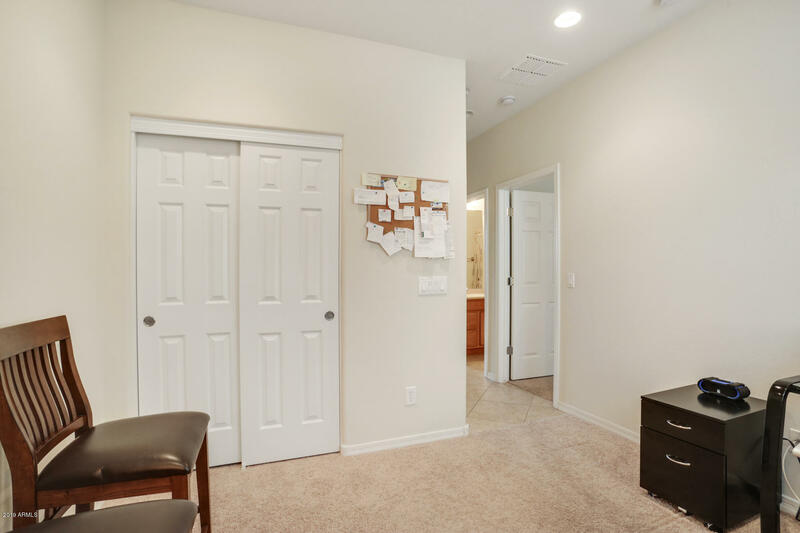 This 2 bed, 1.75 ba + den, including Furniture. 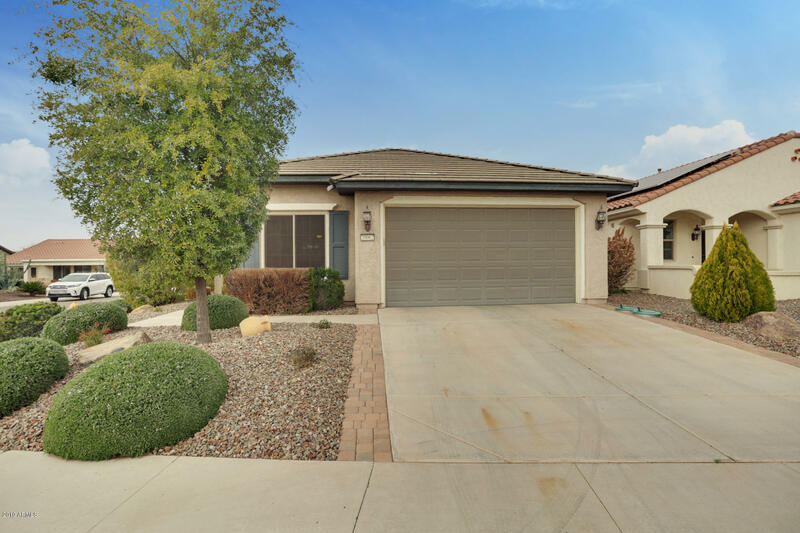 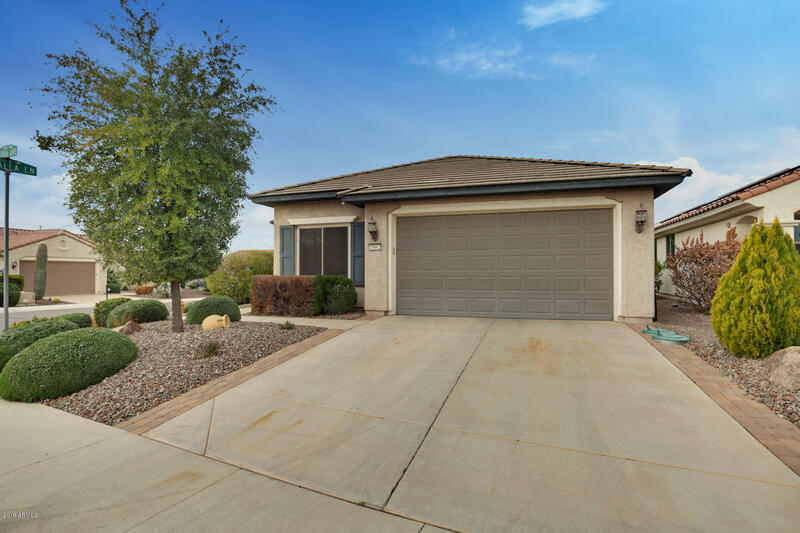 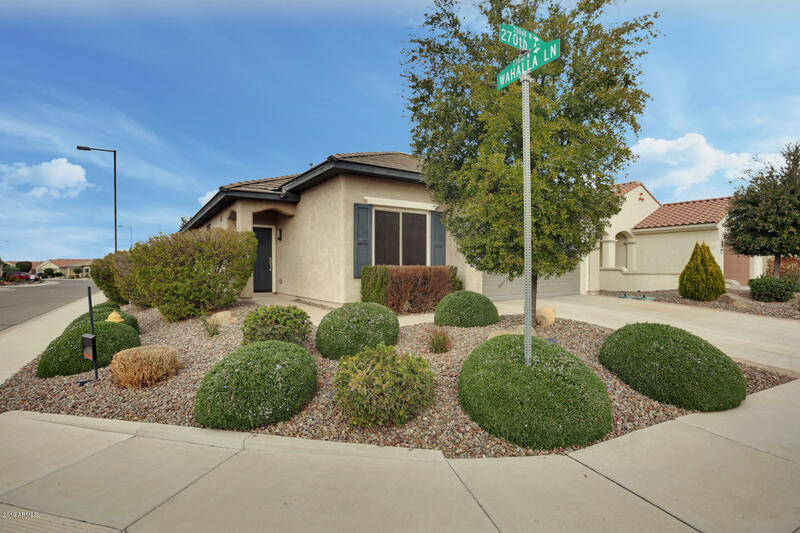 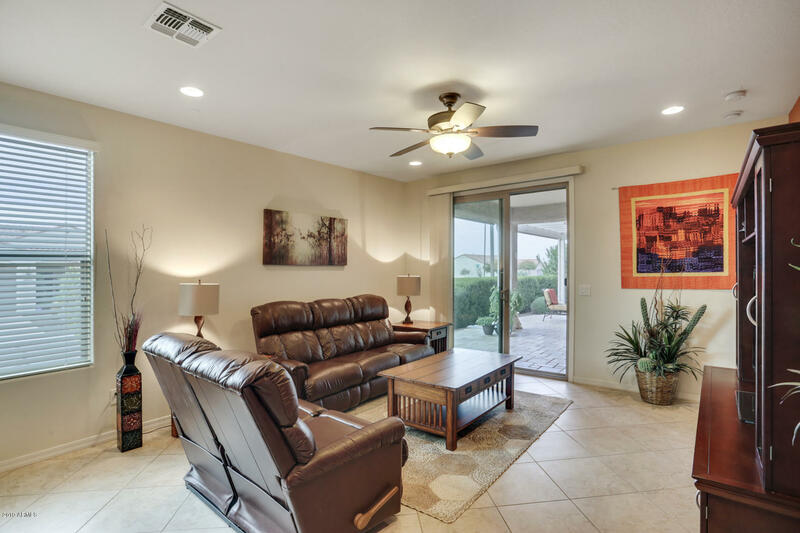 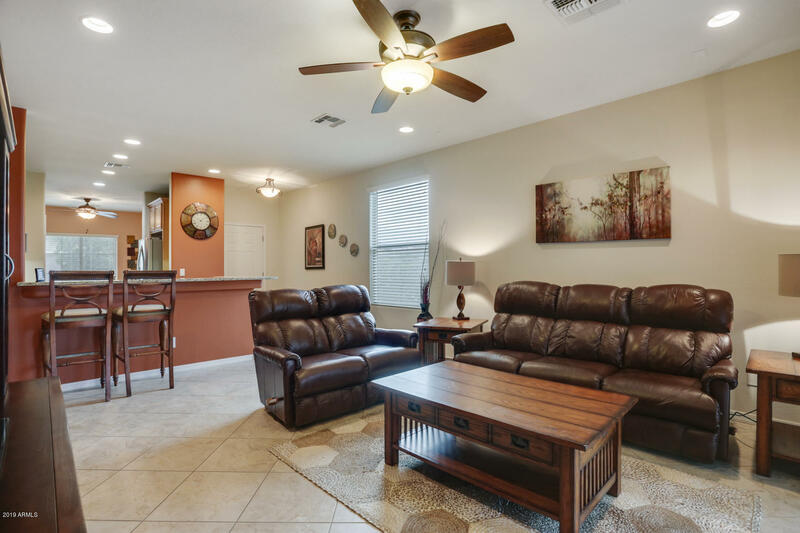 This home is ideal for a snowbird or full time resident! 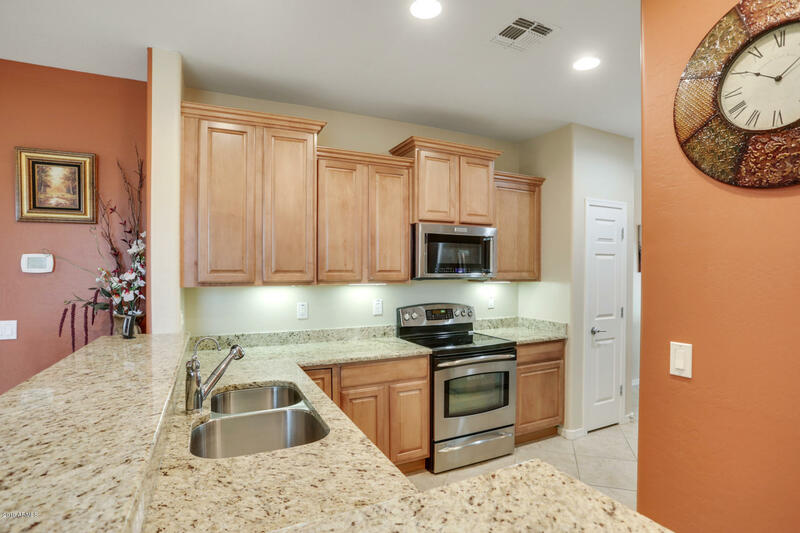 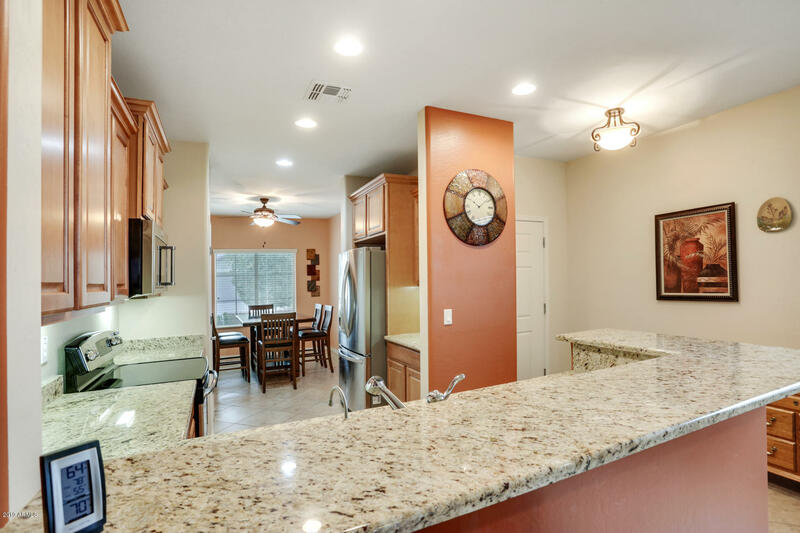 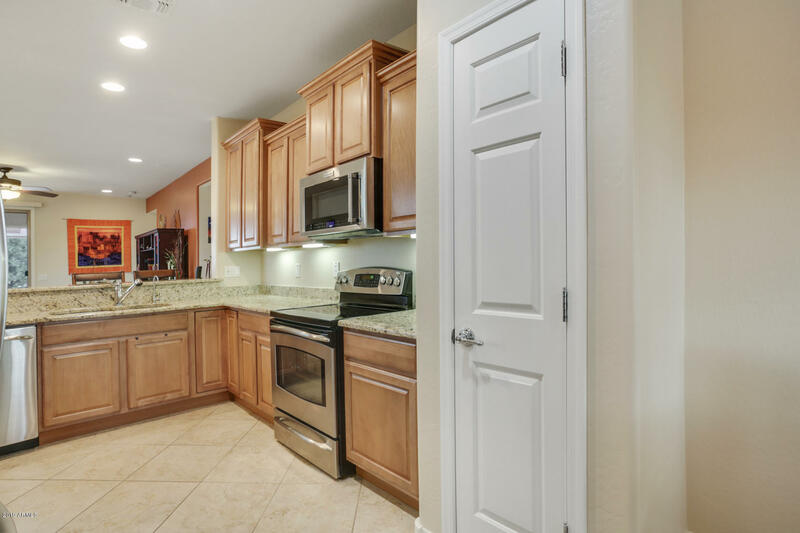 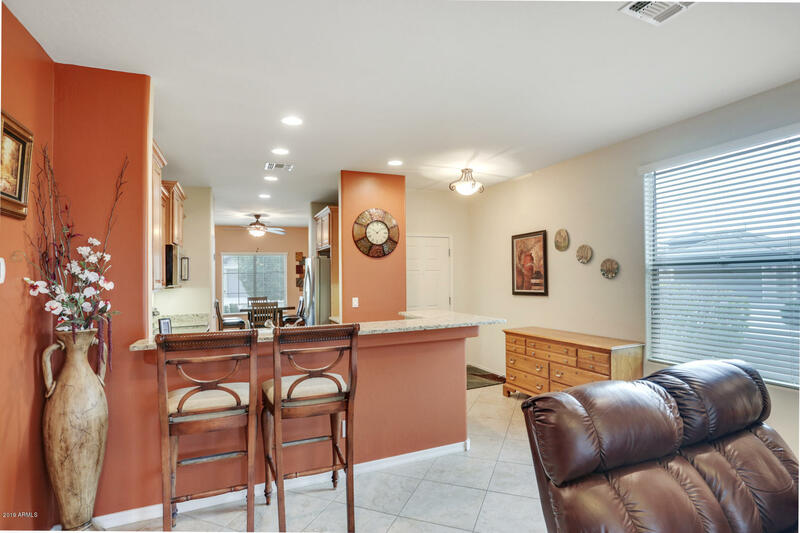 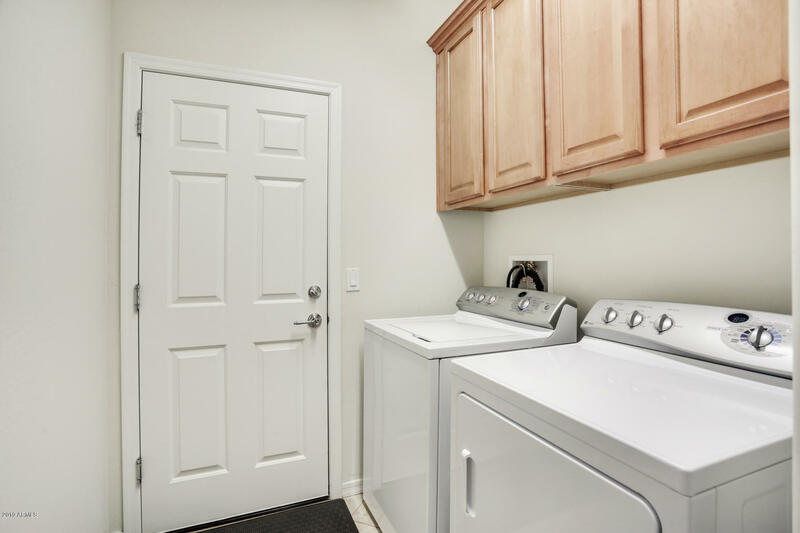 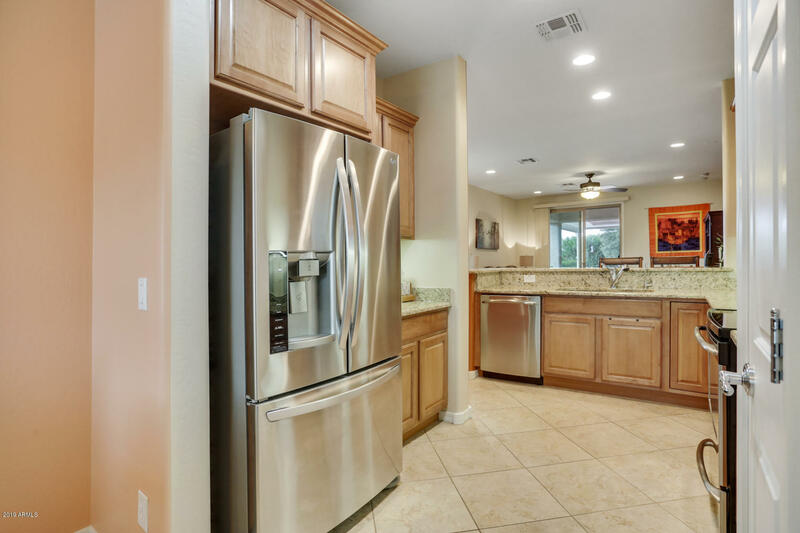 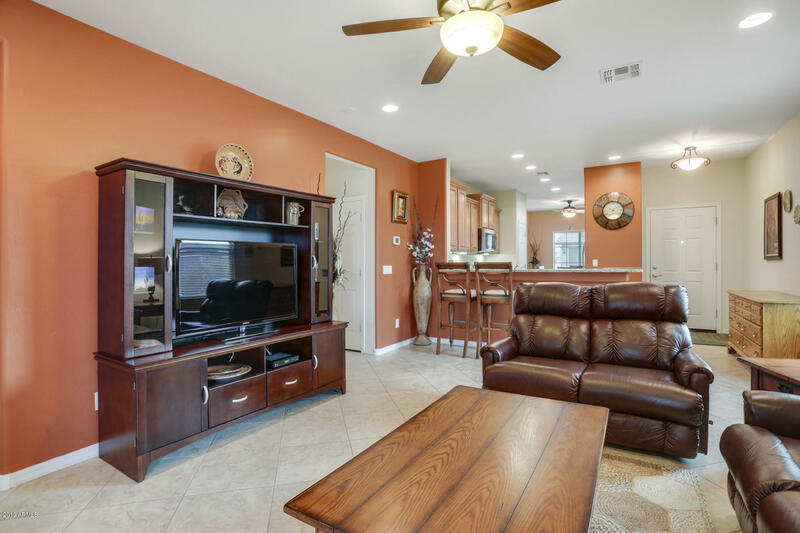 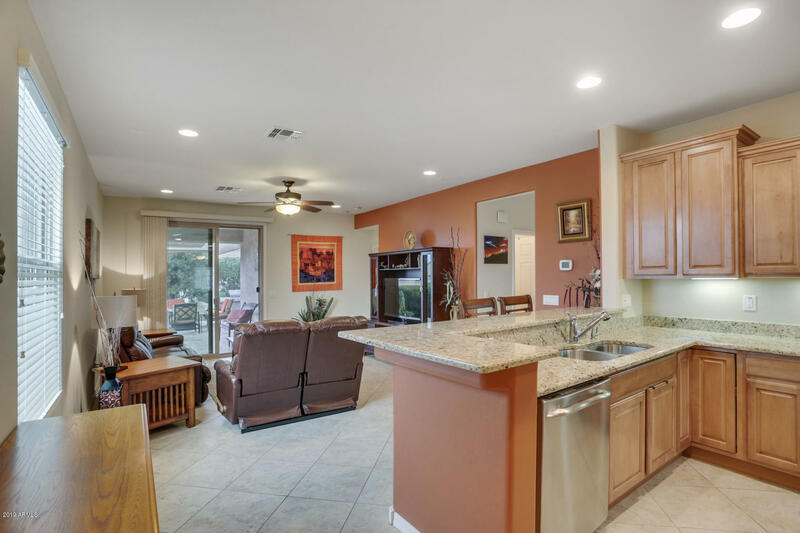 Eat in Kitchen features Raised Panel Maple Cabinetry w/ under cab lights, Stainless Steel appliances, R/O & Soft Water System, Granite Counters, Breakfast Bar. 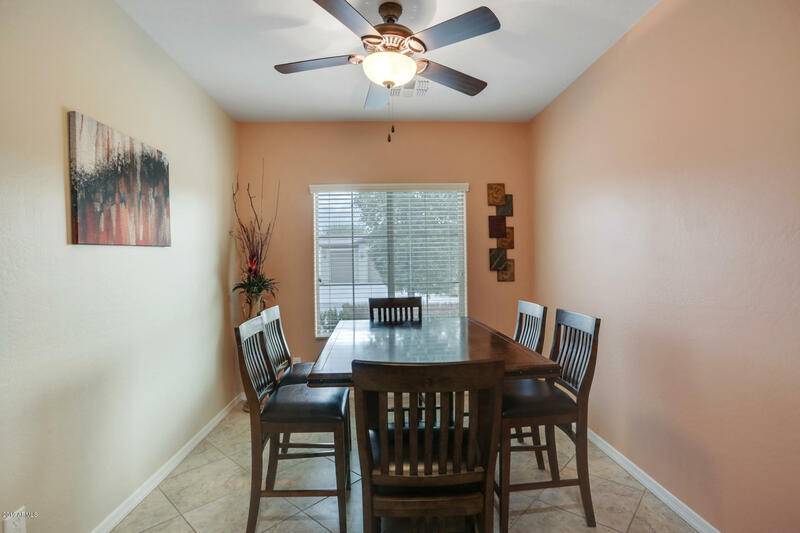 9ft + ceilings, & ceiling fans. 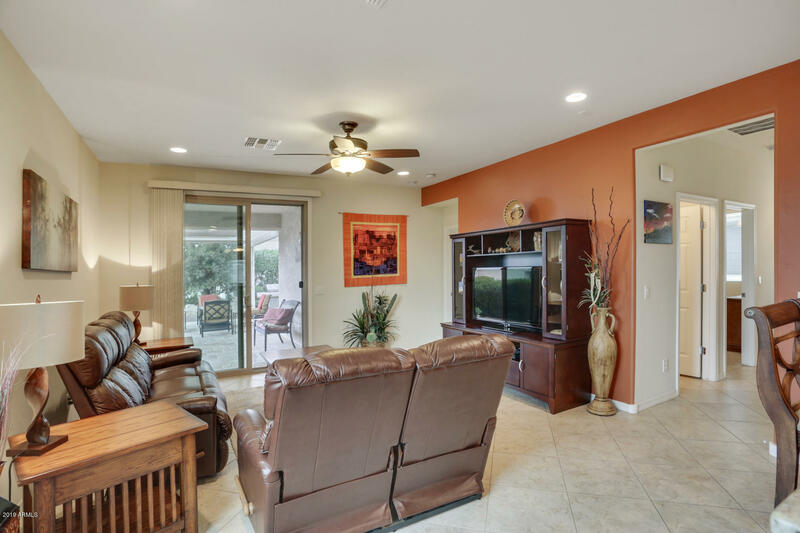 Carpet and Tile in all the right places. 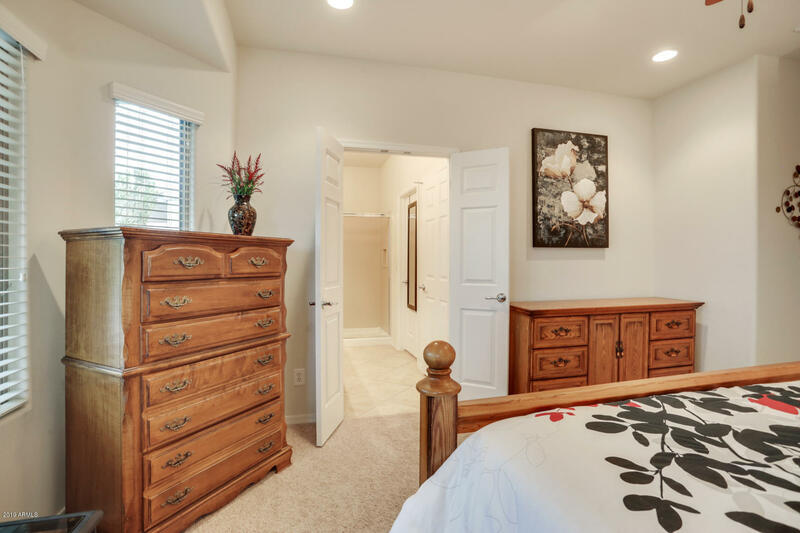 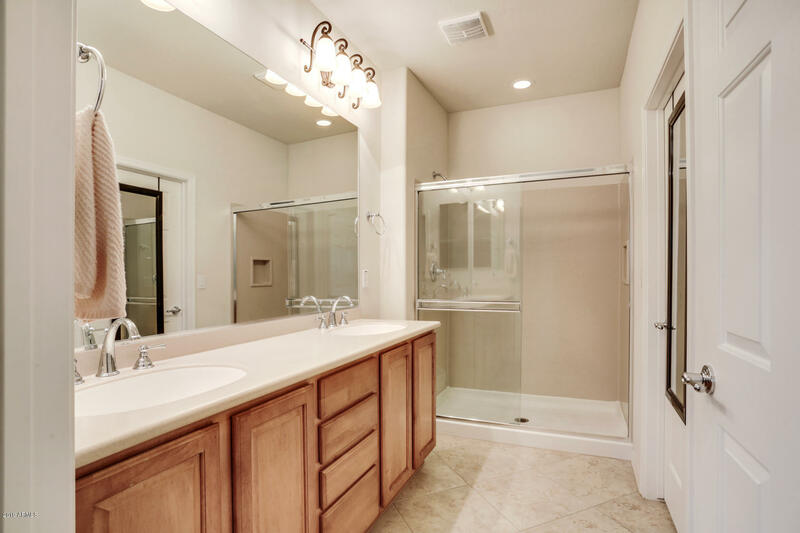 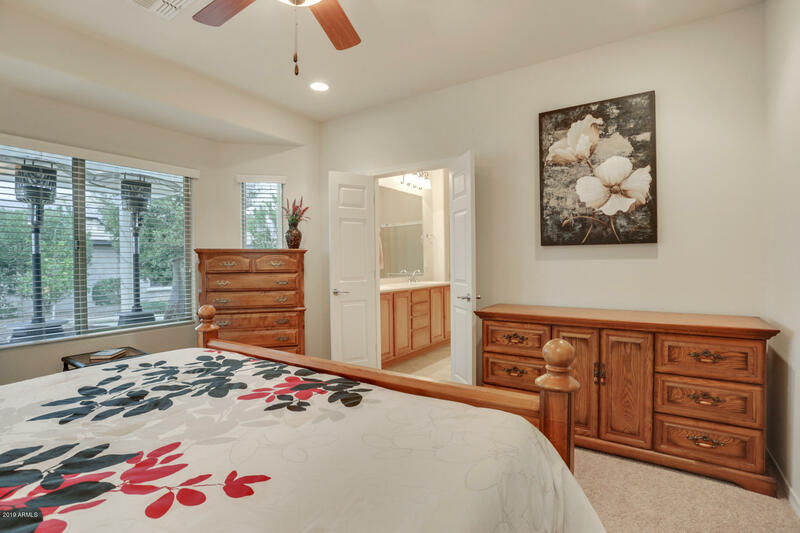 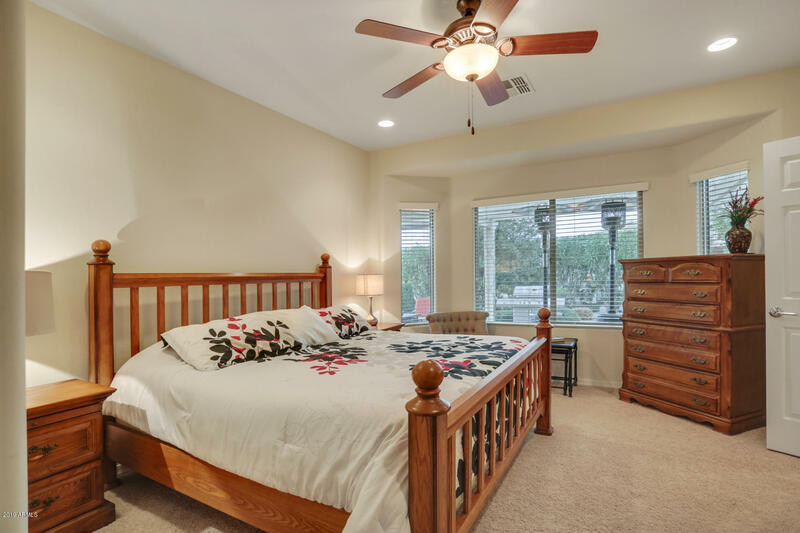 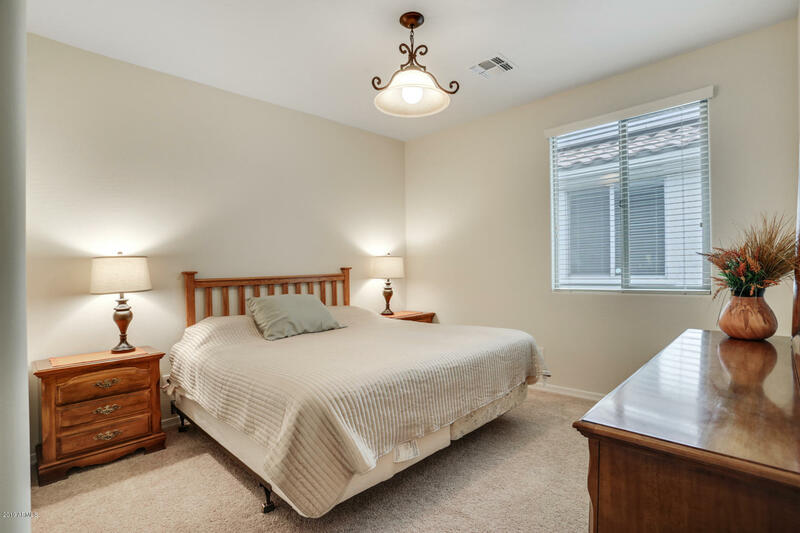 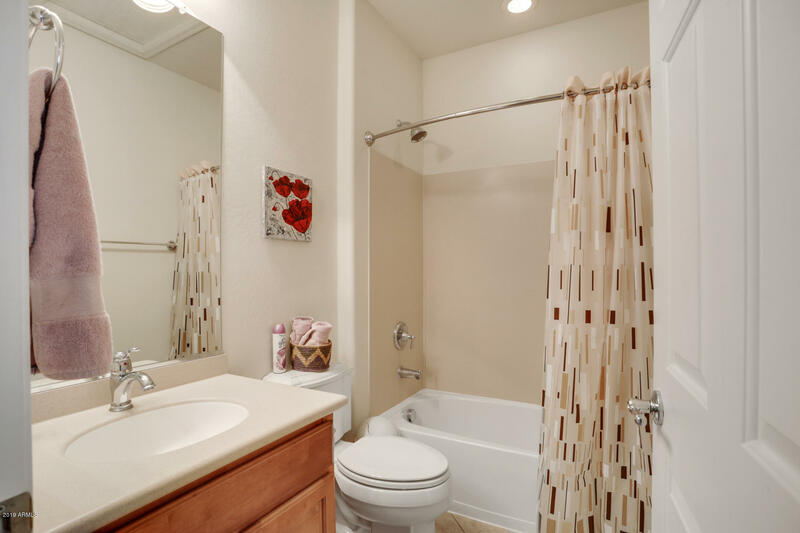 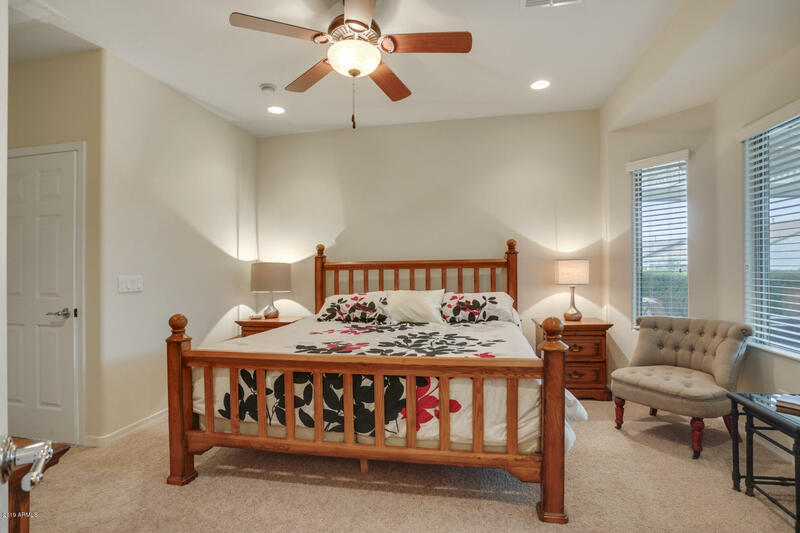 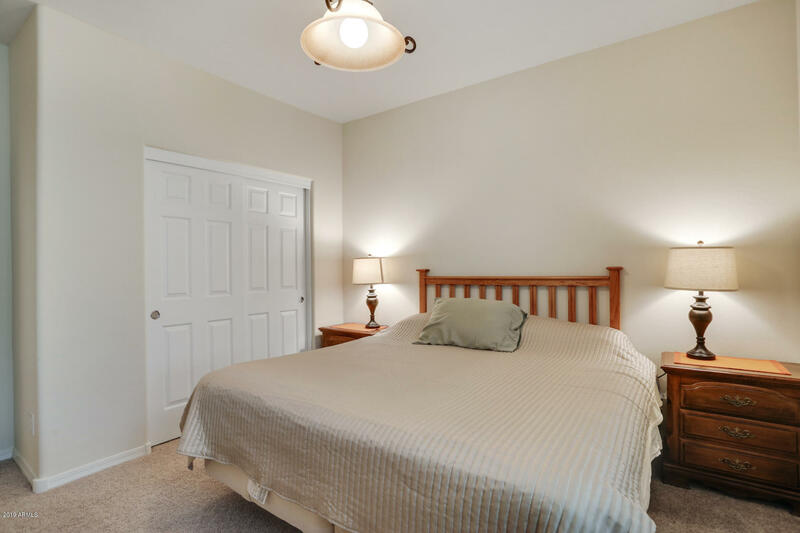 Generous Master Suite w/ Bay Window, walk in closet, dual sinks, easy access shower, Light bright guest bedroom . 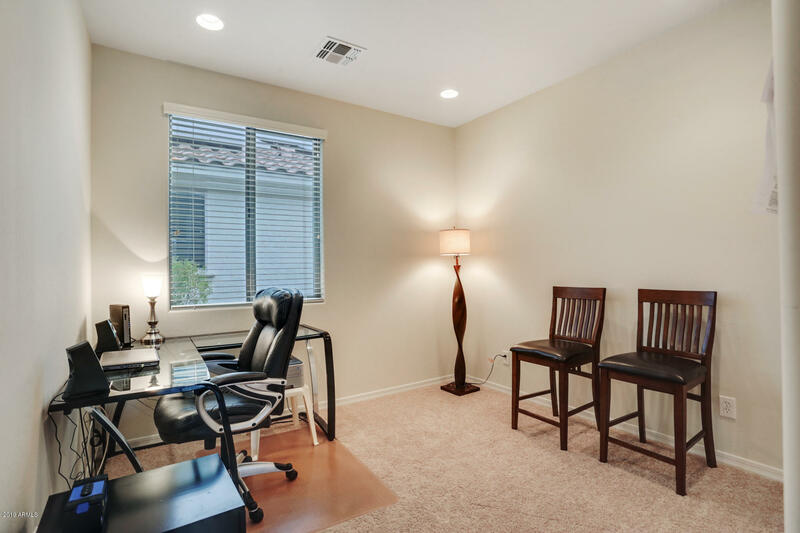 Flex room can be used for office, crafts or den. 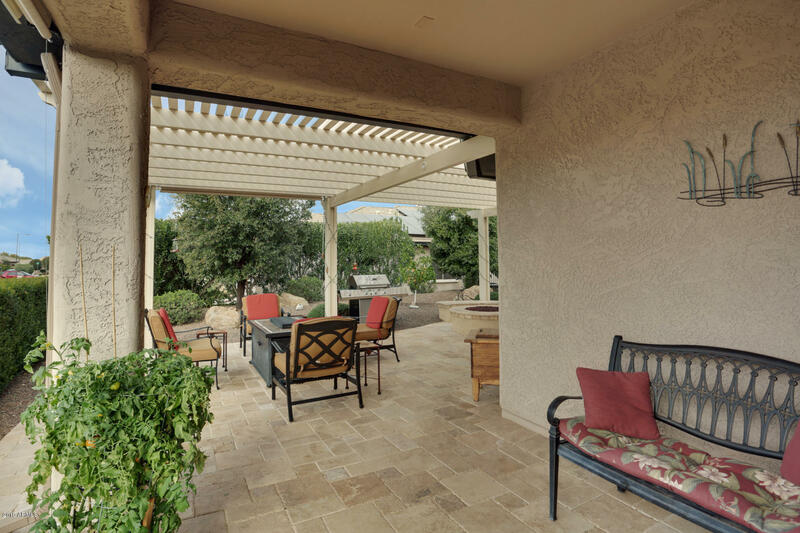 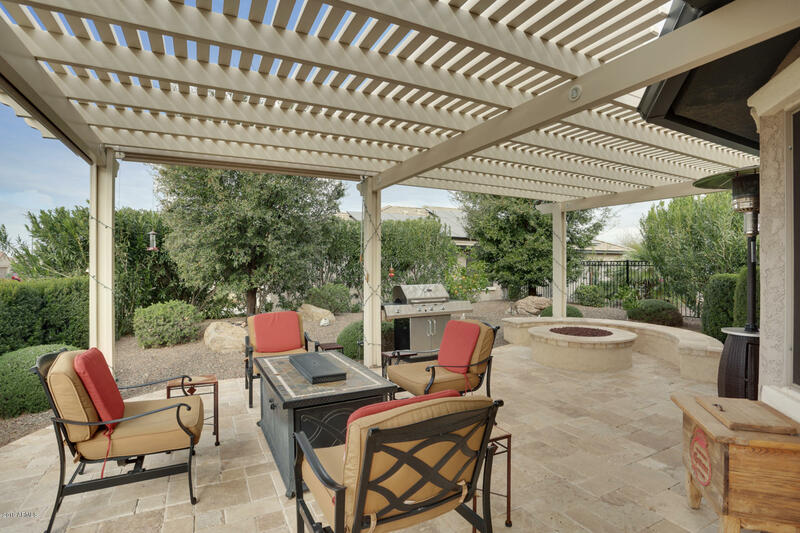 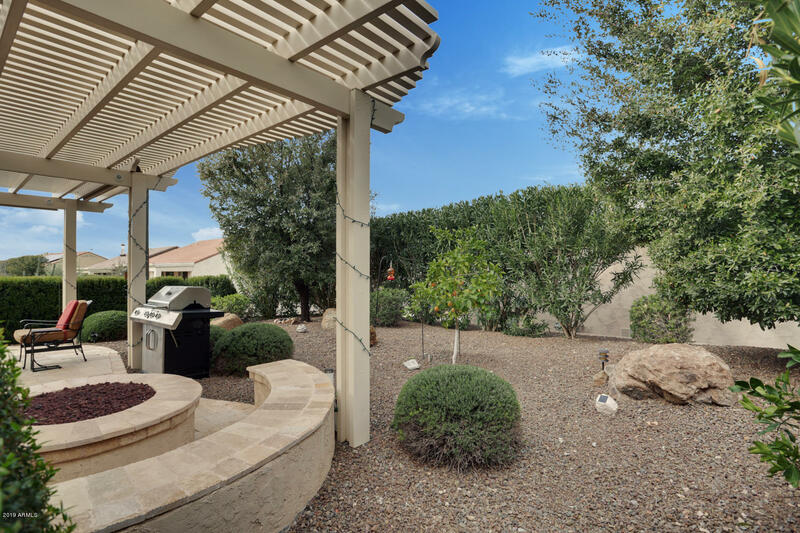 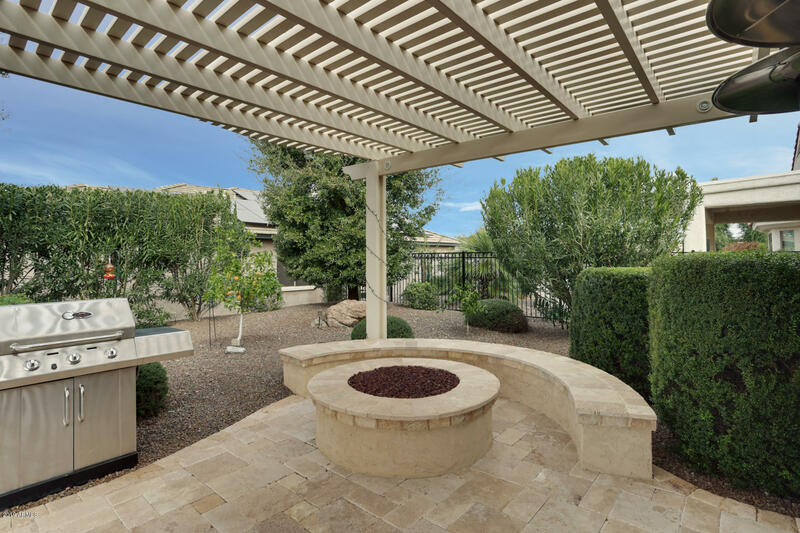 You will be Amazed by this Gorgeous, Very Private Outdoor Living Space! 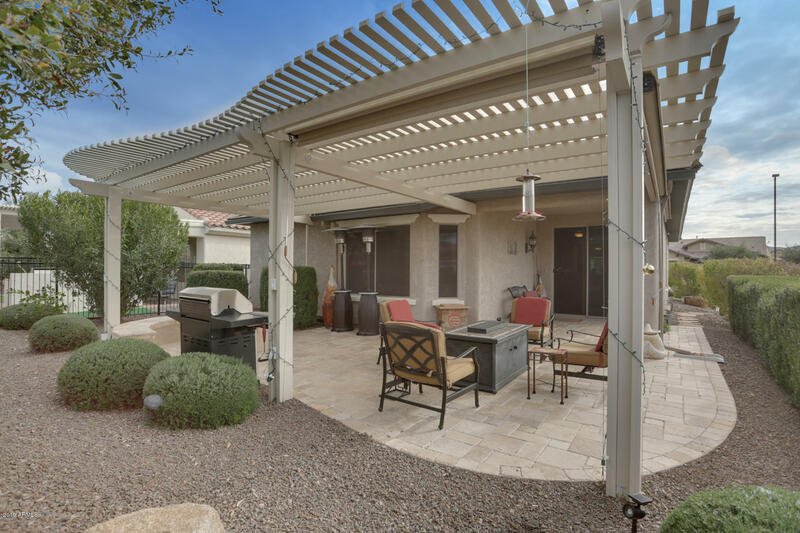 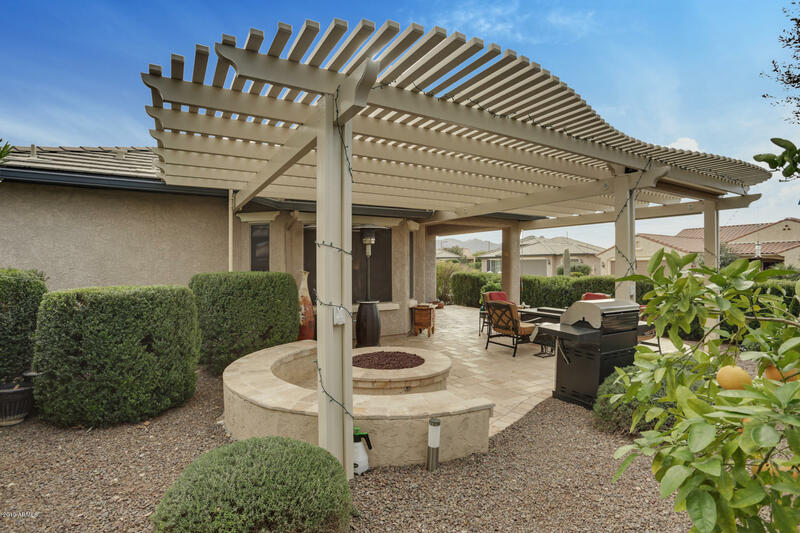 Extended Patio w/Travertine Pavers, Custom Pergola w/lighting options, knee wall , built in seating, & Fire Pit, Pull down shades and more!